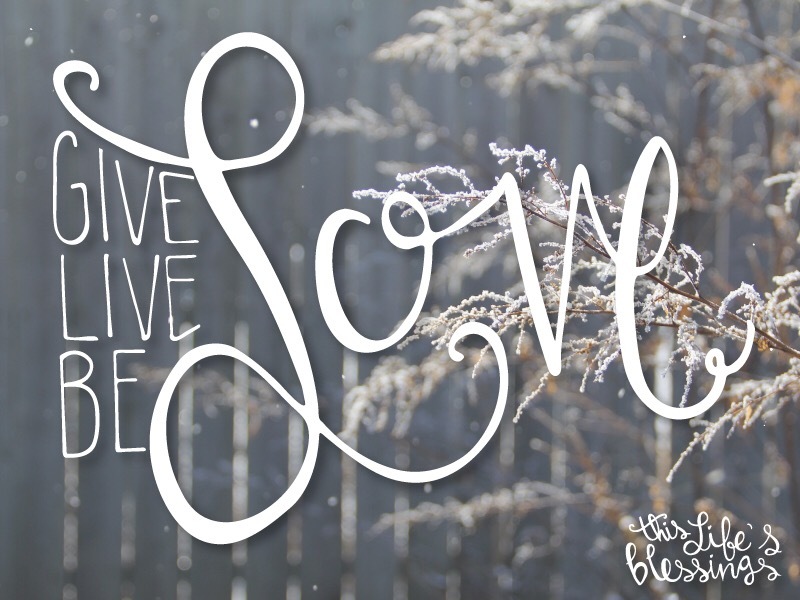 The last week of Advent’s theme is Love. 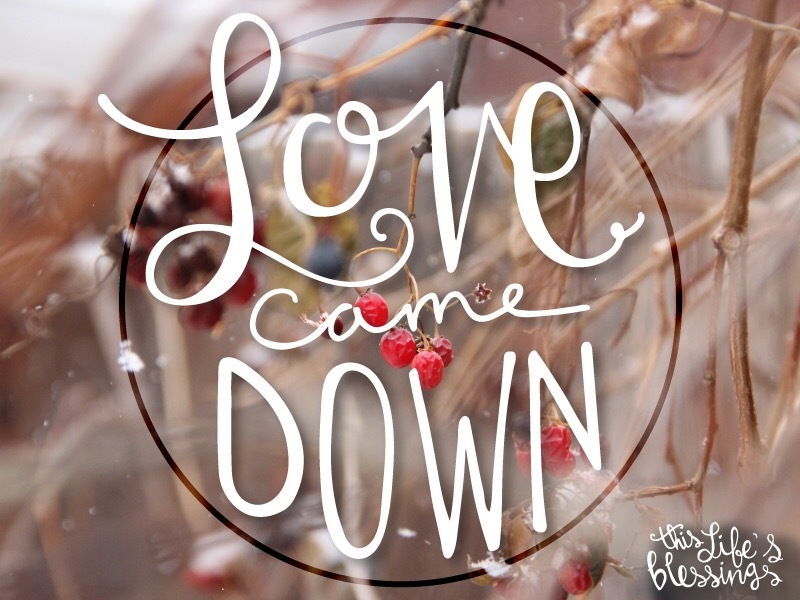 We know that Love came down in the form of Jesus. It is remarkable that He came as a human, it is astounding that He came as a baby. This song by Audrey Assad isn’t a Christmas song, but it reminds me of the “magic” of the holiday – the story – of who Jesus is and what He did for us. Love came down in the form of a baby, the most humble of us all. Before anything defined Him, He came to define us. Love came down to remind us of why we are here. Why we exist. Why we are living. It is all for Love. I always find myself thinking that Christmas will be the one day of the year where nothing bad will happen. Everyone will be happy, peaceful, and safe. But inevitably, people do bad things. Because Love came into our brokenness. Love was the catalyst for a lot of sadness – a refugee crisis of its own and a mass killing of children, all to try and stop Love. What Jesus taught us is that Love cannot be stopped. Love will keep fighting. Love gave it all for us. Love changes everything. When Love became human, when Love walked in our shoes (sandals? ), He showed us how to live, love, and be. Our world could really take some notes from when Love came down to earth. Love came down, and Love did not fail. Love came in the form of a newborn baby, showing us that Love doesn’t have to be big and scary. Love doesn’t need to intimidate or prove its power or position. Love spent His time with the broken, the outcast, and the sinner. Love healed, Love taught, Love empowered. Love came down and did not pick and choose. He did not say, You can be loved, but not you. You’re too ____. Love was color-blind, gender-blind, ethnicity-blind, lifestyle-blind. Love extended Himself to all, without any kind of assessment of worth or merit. So today, on the birthday of Love, I want to honor Him with the way I live my life. I want to love the way He loved. I want to be humble enough to see everyone as having worth. Our world today needs Love – true Love – more than anything else. We need to give Love, live Love, and be Love. Every word we say should be laced with it, every action motivated by it, and our legacies defined by it. His was. Merry Christmas – take time today to remember why Love came down.